The movie starts off during the Phoney War as people publicly debate whether or not Nazi Germany actually wants war. Charles Foreman (Bernard Lee), a British journalist, is frustrated by Britain’s refusal to take the German threat seriously. Suddenly the Blitzkrieg starts. A squad of British infantry, led by Corporal “Tubby” Binns (John Mills), is part of the British army that is sent into Belgium to face the invading Germans. Holland is quickly overrun and the Allies are soon pushed out of Belgium into France. At the same time, the Germans break through the French lines at the Argonne Forest and move towards Calais. Faced with the destruction of the BEF, Gort decides to evacuate. The British squad is left behind during the retreat and lose their officer. After wandering for some time, they learn that the BEF is falling back to Dunkirk. Barely staying ahead of the advancing Germans, the squad makes its way across France, losing men and picking up other stragglers. As exhaustion sets in, Corporal Binns struggles to keep the men moving. Meanwhile, an impressive collection of ships, including personal motorboats, from all over England has gathered at the Royal Navy’s HQ at Dover. After seeing the wounded troops that have been evacuated from Dunkirk, the owners of the boats, including Foreman, volunteer to pilot the boats across the Channel. The surviving members of the squad finally reach Dunkirk, but find that the evacuation is much more hazardous than they had expected. The Luftwaffe repeatedly bomb the harbour and the beaches where the troops wait, so it becomes a race against time to evacuate the BEF before the defensive perimeter is overwhelmed. While the war had been nicknamed the Phoney War it was not phoney to everyone, especially the sailors in the merchant marine who sailed in convoys and the sailors in the Royal Navy. The movie’s use of newsreels highlights the speed with which the situation would change, including British Prime Minister Neville Chamberlain’s sudden resignation and his replacement by Winston Churchill. A brief scene with a map shows the German troops, tanks and paratroopers moving deep into Holland and Belgium. French and British military planners were stunned by the speed of the German Blitzkrieg. While Stuka dive-bombers had supported German tanks with deadly effectiveness during the invasion of Poland in September 1939, the British and French senior commanders had rejected the advice of Polish officers who had escaped into France. Gamelin had dismissed Polish warnings, stating that France was not Poland. He would be proven wrong. The story is totally from the British perspective. The only French character is a reporter who has a defeatist attitude while Foreman is grimly determined. There is no denying that the French government displayed a depressing lack of resolve but numerous French units fought well, and their sacrifice kept the Germans busy long enough for the evacuation to take place. In fact, half of the perimeter defending Dunkirk was manned by French troops. The movie gives an accurate portrayal of the chaotic confusion of the retreat. Columns of refugees trudging along with their meagre possessions were strafed by German planes, which killed anyone who did not run for the ditch fast enough. A British division basically ceased to exist while covering the retreat and numerous units had become separated, so the squad’s odyssey through France captures the confusion perfectly. Throughout the retreat, bone-tired men would collapse by the side of the road and have to be kicked to keep moving. The roads close to Dunkirk were littered with abandoned equipment because the army blew up everything it would not need. There is an excellent shot of the beach covered with queues of men stretching far into the water. The men had to march into the water because the gradual incline that had made the beach so popular with holiday-goers meant that boats could not make it to the actual beach, so the real soldiers would let the tide come up to their necks before giving up their places at the front of the line. Admittedly, Gort did react in a decisive manner during the crisis but the script ignores his slackness during the Phoney War, when he had neglected to train his army, which caused much of the confusion during the retreat. The scene of the fleet of small boats heading out to rescue the troops is quite stirring and there is a great shot of the wrecked harbour at Dunkirk. The combination of aerial bombardment of the harbour by the Luftwaffe and U-boats lurking in the Channel took a deadly toll on the ships and several destroyers were sunk in a single day, often going underwater in seconds, drowning anyone not on deck. It is sadly true that the Royal Navy panicked and temporarily pulled out its modern destroyers after several were sunk but it was only for a day, and the greater portion of soldiers were evacuated by destroyers. While the Royal Navy is treated fairly, the same can not be said for the RAF (Royal Air Force). 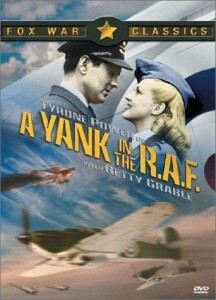 The screen soldiers’ anger against the RAF is an accurate reflection of the real soldiers’ fury. Although the script does explain that the RAF did not have enough squadrons to protect Dunkirk against the Luftwaffe, it would have been better to say that the RAF fought the enemy away from the harbour, which is why none of the soldiers actually saw the dogfights. The beaches are bombed four times in the movie, even though the real Luftwaffe rarely hit the beaches, concentrating instead on the port. Troops did queue patiently despite the bombing. The story focuses too much on the one boat owner who refuses to help, which was not typical, since most boat owners were happy to volunteer. Valuable screen time is wasted fixing a boat to provide an excuse for Foreman to see the beaches. He could have simply been dropped off when his own boat was destroyed. Foreman states correctly that Britain and France were unprepared because nobody wanted to admit that there could be another war. Britain chose butter, Germany chose guns. Most of the troops did maintain the discipline shown in the movie, but desperate men did jump on to the ships even after they were full. The film would have benefited from dates and the number of men evacuated each day, since the evacuation lasted for more than a week. More than a third of a million men were evacuated from Dunkirk, which was a tremendous accomplishment, since even the planners had not hoped to save more than a fifth of the army (roughly 45,000 men). The dazed survivors were stunned by the nation’s support, and Dunkirk did help unite Britain. 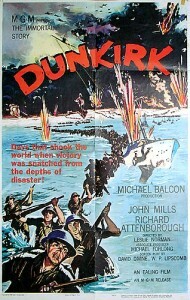 After the BEF had been saved, the British government and military leadership won the cooperation of the press in the creation of the patriotic myth of Dunkirk, which claimed that the British army had been let down by its allies but had fought its way to Dunkirk, where an armada of “little ships” crewed by civilian volunteers had brought them home. Part of the myth was the statement that the defeat of the BEF was mainly due to the French army’s inability to stand its ground, even though the BEF was successfully evacuated because French units had manned the perimeter against the Germans. Made when the myth of the “little ships” was unchallenged, the film concentrates mainly on the little boats and the beaches. It is true that the small boats ferried troops from the beaches to the big ships, but there are only two scenes on the Mole, even though most troops were actually evacuated there. The flimsy wooden pier was supposed to be the Mole, which was actually a huge stone wall intended to shelter the ships in the harbour from storms. 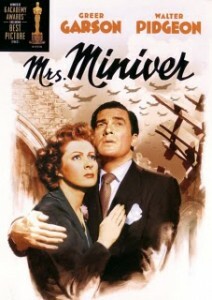 The film’s main weakness is that it was made for a British audience in the 1950s when the basic chronology of the war was common knowledge. Having just finished researching the period, I was able to follow the story but most people probably can not, which is unfortunate since it is extremely accurate. I enjoyed every word of the detailed study of the film, and the only part of it with which I disagree is the concluding statement that viewers might find it confusing. I was a young teenager when I first saw this movie and was certainly no expert of WW2 or anything historical. I found the movie fascinating and very clear. My three favorite WW2 films, by the way, are this one, “Sink the Bismarck,” and “The Dam Busters,” all b&w, and all fact-driven, rather than hero worshippy, or “romances set against the backdrop of an uncertain time.” (I made up that quote). Thank you for the great summary and the beautiful website. Your three favorites are all excellent films, and I share your attraction to fact-driven movies. I am glad that you appreciate the website, and thank you for the compliment.